The holiday shopping season is quickly approaching. With Black Friday four days away, many begin planning their shopping sprees this time of the year. 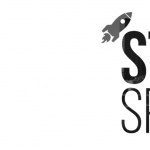 The Dayton area has lots of unique startups that could provide a great gift for a friend or loved one this holiday season. Lucky for you, we have a list, with links provided, to make your life a little easier. Spend $75 or more and receive free shipping! Looking for some family friendly games to keep your kids off their phones this winter? 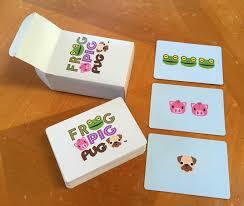 Check out local game maker Dolphin Hat Games for family-friendly options like Emoji Says and Frog Pig Pug, both available via Amazon Prime. 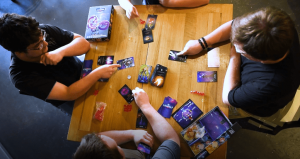 Designed for fans of Super Smash Brothers and Overwatch, Galatune is simple enough for casual players and families new to tabletop, and yet rich enough strategy to challenge serious gamers. Each player leads a Champion into battle to fight for knockout victory points. First to 3 knockout points wins, but Champions keep respawning so that everyone stays in the battle the entire time. The game also features an exciting battle system where everyone attacks simultaneously. Galatune is now available on Amazon and is a Prime eligible present! A versatile sauce that can be used for any meal. Charlynda Scales’ tasty sauce recently won an award at Bob Evans Farms’ “Heroes to CEOs” program designed to help veterans in the field of entrepreneurship. 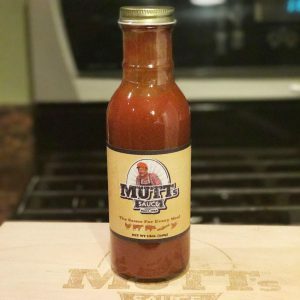 Mutt’s Sauce was highlighted on Dayton Tech Guide’s website. To read the exclusive article, click here. Sports or Theatre fan in the family? Neet Seat has them covered with their uniquely designed seat pocket, with a spandex blend fabric, a rear zipper, and a front elastic band that together form a secured pocket beneath your seat, allowing for a hands-free viewing experience. Clap, cheer, eat, and drink in comfort while keeping your personal items clean and protected. 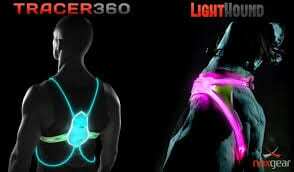 Noxgear provides running equipment for the late night or early morning run that will keep you safe and visible to motorists. Looking for a Thanksgiving or Christmas meal for the family? 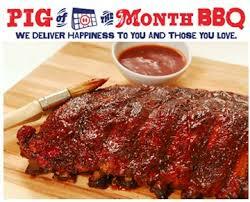 Pig of the Month BBQ provides amazing, natural meals, happiness guaranteed. All products are responsibly raised and all natural free range animals. If your tie gets caught in the wind, Tame Ties are for you! 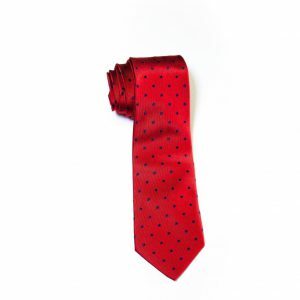 Their unique neckties stick to the shirt, making you look even more professional! Buy one for your favorite startup lawyer or accountant now! It’s a stated fact that entrepreneurs love coffee. 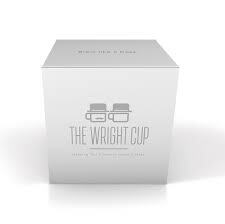 The Wright Cup offers lots of high-quality coffee machines and coffee itself. The subscription service offers freshly roasted craft coffee from the largest choice of Ohio roasters delivered directly to the door of your favorite caffeine fiends. Sign up for a subscription yourself while you’re at it! Coffee is 98% water so, it makes sense that the quality of your H2O makes an impact on your favorite cup of Joe. But what many coffee drinkers don’t know is that minerals and allowable contaminants found in water vary dramatically across the globe. This affects not only the flavor of water, but also your cup of coffee. 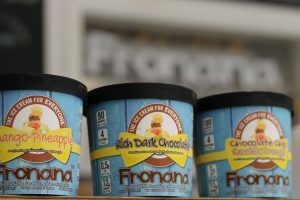 Want the flavor of your favorite coffee beans to taste fresh, no matter where you are? Now it can. 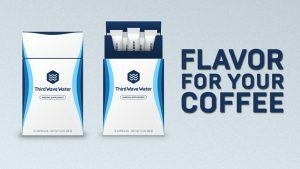 Third Wave Water, as seen on Shark Tank, makes the optimum mineral content in water to brew the best cup of joe. Third Wave Water offers a classic water profile as well as an expresso version to brew the best coffee or expresso you can! 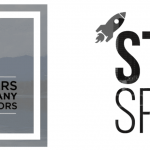 Want to add your startup to this list? Email me at daniel.palmer@wsusg.com!